In March of 2015, Jumeirah Gaels were established when a group of friends decided to enter a Social team into the World GAA Games in Abu Dhabi. The team consisted of a few employees from the Kentz Dubai office, several ex-Qatar GAA players and a few more friends keen to begin a new chapter in Middle East GAA. 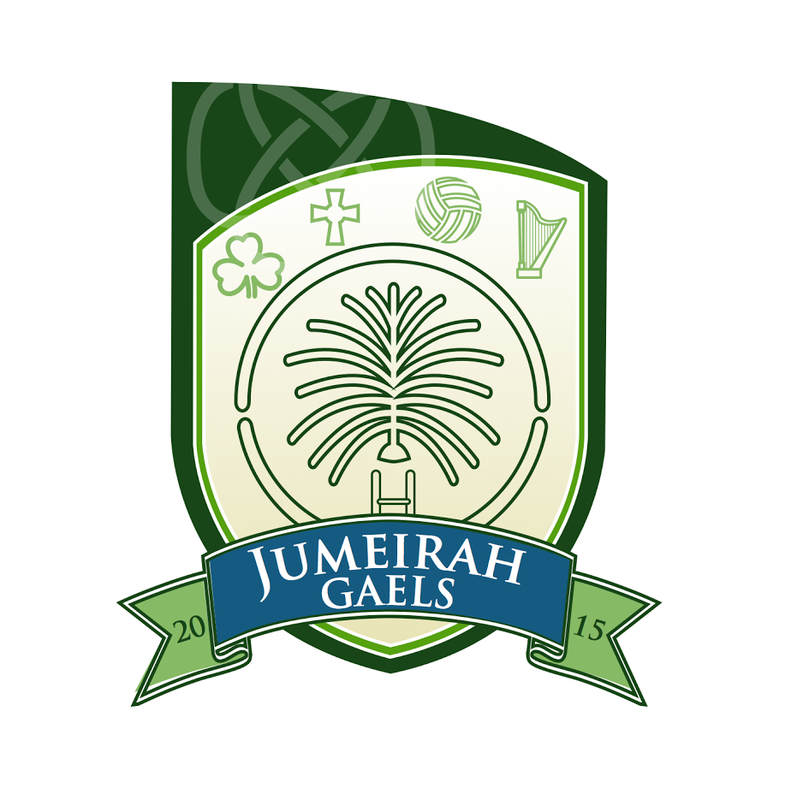 After competing well that weekend, culminating in a defeated final appearance to Sharjah Gaels, the lads decided to enter Jumeirah Gaels officially into the 2015/2016 Middle East League, as a Junior club. This is where our clubsâ fantastic journey continued to capture wonderful memories, and create binding friendships which would no doubt last many years. With victories in Bahrain in November and Dubai in March, Jumeirah Gaels made history, by promoting themselves to the intermediate grade for the 2016-2017 season and more importantly being crowned Junior A champions for itsâ inaugural year. It was a marvelous achievement for the newest club in the region and from commencing the season with 6-8 players, the club has grown into a serious outfit with three Menâs teams (36 players) and two Ladies teams (24 players). More than 80 players attended either the Menâs or Ladies training over the first season. In August of 2016, the club returned to pre-season training for what was sure to be a busy 2016-2017 campaign. The club now has Intermediate Menâs, a Junior A and Junior B team, and officially two Ladies Junior teams. The Intermediates stand undefeated after two rounds of the league and look on course to continue the form of last season, but a few tough rounds await them in Bahrain and Al Ain, the likes of Dubai Celts, Abu Dhabi na FIanna and Clann na hOman following closely behind in the league table. The club has added a few strong players to the ranks, and everyone seems to be rowing in the same direction which is refreshing to see. Our Menâs Junior teams were also very unlucky not to add to the silverware haul in Dubai, but both are in a strong position travelling to Bahrain in November. The Junior Aâs were pipped in the final in Dubai in September, and need a victory in Bahrain to stay in the hunt for glory. Our Junior Bâs reached the semi-final and again need a sterling performance in Bahrain to challenge for honours come early 2017. The Jumeirah Gaels Ladies are powering towards victory in both the Junior B and Junior C competitions. The ladies have serious strength in their squads and should be promoted unless something drastic happens in the coming few months. The club is extremely proud of all players involved in each team and the success so far is a testament to the hard work put in by all personnel working tirelessly in the background to push the club forward. Three of our senior members, Killian Coleman and Tom Doyle (1st Team Manager) and Eugene McCluskey (1st Team Coach) were involved in the Middle East GAA successes in Croke Park back in August. Tom and Killian were two of the management team in charge of the ME Menâs team who defended their title and Eugene was part of the management team for the Hurling team who clinched a maiden hurling World Games crown for overseas clubs.